Brendan Milos has continued his journey of creating artwork for many of the enemies of Majora’s Mask, which is part of our Enemy Artwork Project. This is a collaborative fan project to create artwork for all of the Majora’s Mask Enemies in the game. This time around he tackles an enemy Guay. 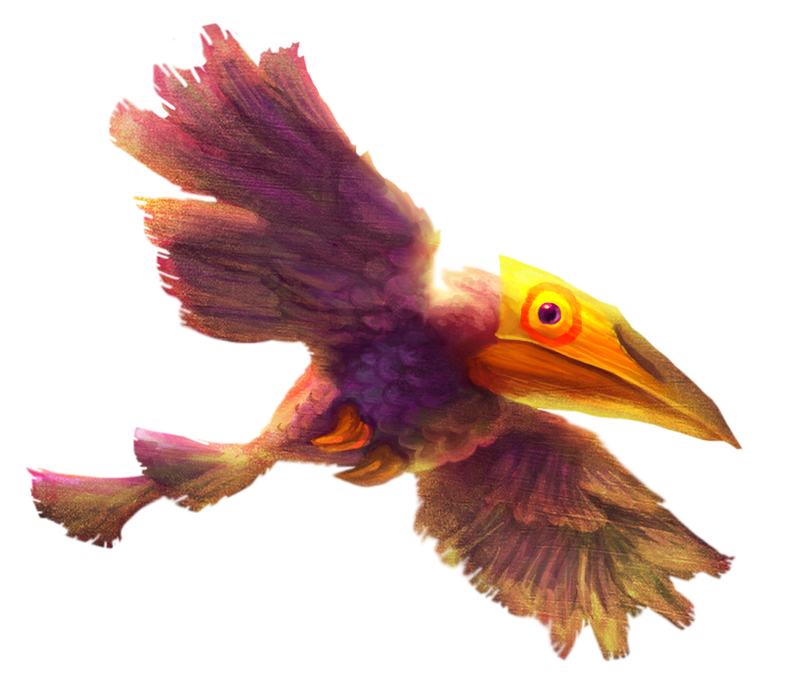 These small birds can be found all throughout Termina, appearing in small numbers in the Snowhead Region during the Spring, as well as within Ikana Canyon. They are fairly harmless creatures and many of them will actually give Link some extra rupees. You can see a thumbail version of the image to the left, but go ahead and make the jump to see the full sized image, along with where you can find some of Brendan’s other pieces of enemy artwork. Brendan will be creating some additional artwork pieces for the various enemies, as well as tackling some of the bosses from the game. You can let us know in the comments below which enemies you’d like to see Brendan illustrate next.